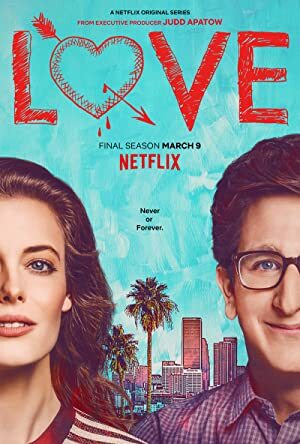 Love season 1 (2016) – What's New on Netflix Canada Today! A program that follows a couple who must navigate the exhilarations and humiliations of intimacy, commitment and other things they were hoping to avoid. Rebellious Mickey and good-natured Gus navigate the thrills and agonies of modern relationships in this bold new comedy co-created by Judd Apatow. It’s awkward. It’s impossible. It’s infuriating. And it may just be the best thing that’s ever happened to them.